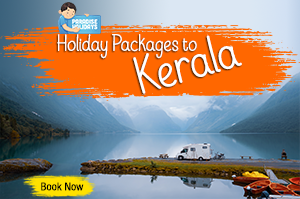 Kerala has a lot more to offer than the popular destinations we see advertised all over the web and other media. One of the sure ways to truly have a fun and adventure filled holiday is to explore places that lie off the beaten path!! Going to less crowded locations in Kerala is a great way to fully enjoy the green nature surrounding you. So here are some equally exotic places you could include in your travel itinerary when you plan your Kerala Holidays. These places aren’t exactly off-the-radar, but I am sure you will find these quite refreshing and thrilling. And don’t bug me if you find it crowded!!! Cradled in the midst of Western Ghats, Nelliampathi is locally nicknamed as “Poor Man’s Ooty” as it closely resembles Ooty (Ootacamund), one of the most popular hill stations in South India. The high altitude, lush green tea gardens over the rolling hillsides and the surrounding tropical forest makes it truly breathtaking! It is located 60 kms from Palakkad district, Kerala. This charming hill station is at the southern tip of the Palakkad gap, at an elevation of 1585 mts above sea level. The only route to this place is through Nemmara Town, in Palakkad and the flora on the way is simply awesome! 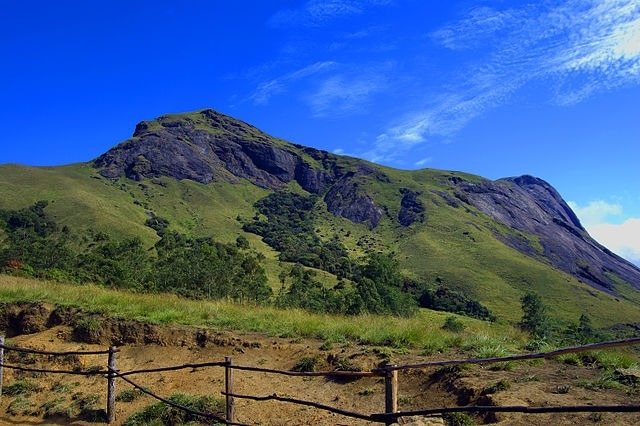 Chempara peak located 8 km south of Kalpetta town, is the highest peak in Wayanad. It is part of the majestic Western Ghats. You can reach there only by foot from Meppady, a small town near its valley. So naturally Chempara peak is a popular trekking trail in Kerala. One should get permission from the forest authorities before starting out. There is a small heart shaped lake on the way to the peak which is quite mesmerizing. The surrounding mountain view makes it an interesting tourist spot. It is almost 5 km trek from Meppadi town. Guides and other trekking gear are available for hire from the forest office in Meppady. This is perhaps one of the last unexplored part of tropical evergreen forest in India. Silent Valley is situated in Nilgiri hills, Palakkad. This site is part of the Western Ghat regions under consideration for UNESCO World Heritage Site. It was converted to national park in 1980 as a result of environmental social movement “Save Silent Valley” which was triggered by the proposal for a hydroelectric project here. It covers an area of 237. 52 Sq.km and shelters a rich mosaic of diverse habitats. 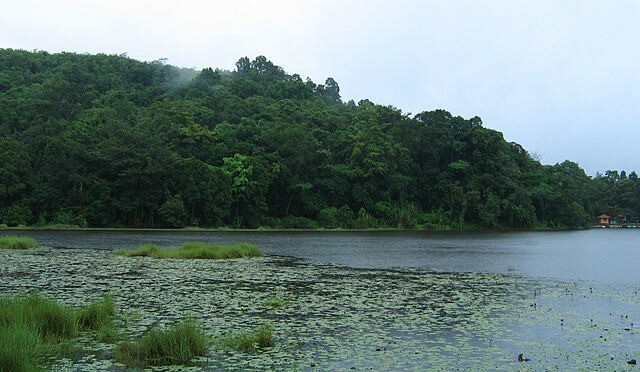 Silent Valley is home to rare species of birds like Ceylon Frogmouth, monkeys like the threatened Lion-tailed Macaque. 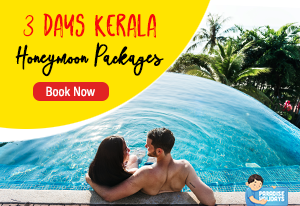 The winding rivers (Bhavani and Kunthipuzha) through the forests, the evergreen sholas (stunted forests interspersed with grassland), waterfalls and..of course the beautiful wilderness….I am sure you will fall in love with this place! Muzhappilangad Drive-in Beach is the only drive-in beach in Kerala (perhaps India too!) and is the largest in Asia. It is situated at about 15 kms from Kannur town. You can have a 5 km ride splashing through the sea waves! The youth love this place and you can see many showing off their driving skills in cars and wheeling in bikes!! There is is a small private island named Dharmadam Island located there at just about 200 m south of the beach. In low tide, you can go there for a walk. But be careful, because in high tide, you won’t able to walk back as easily..! 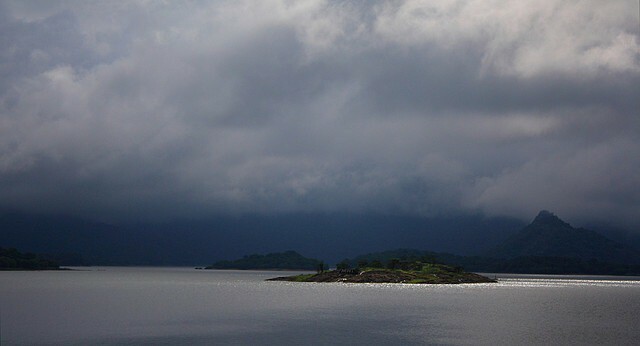 Banasura Sagar dam nestled between the hill ranges of Banasura (part of Western Ghats), is built across the tributary of Kabini River in Wayanad. It is the largest earth dam in India and second largest in Asia. The small island formations in the dam reservoir covered in thick green foliage with the hill ranges in the background makes it truly breathtaking! It is around 21 km from Kalpetta, nearest town in Wayanad district, Kerala. Boating facility is available there and there is also a nature park to refresh yourself. Read more about Banasura Sagar Dam. This region is extremely rich in bird diversity as more than 300 species of birds have been identified from here. Wildlife here is also noteworthy. The walk through the forest watching birds and enjoying the nature is pure bliss to a nature lover! 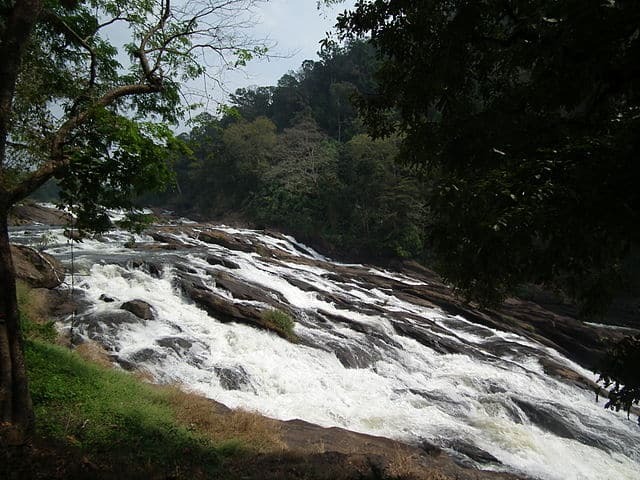 This waterfall is very near to Athirappily waterfalls, one of the most popular waterfalls in Kerala. Vazhachal is just a 5 km drive from the later. Both these waterfalls is on Chalakkudy River flowing through Thrissur district, Kerala. Athirappily and Vazhachal lies along the edges of the Sholayar forest range. The best season to visit here is between October and March. It is about 90 km from Cochin city. Kuruvdweep is located at about 17km from Mananthavady, which is the nearest town in Wayanad district. This island is a river delta formation on the Kabini river. It is part of the evergreen tropical forest. So naturally, it is nature lovers paradise. One get to see rare species of flora and fauna here! What I loved most, is crossing the river on bamboo rafts. It is done in a very organized way under the full guidance of forest guards. The flow of the river might get strong all of a sudden and soon become uncontrollable. Hence the extra precautions and rules. 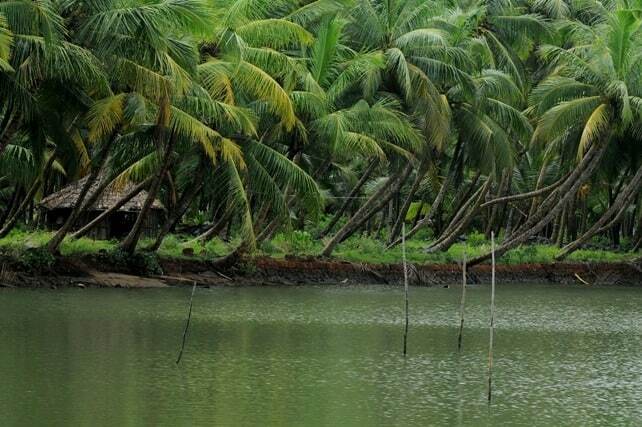 This backwater stretch is in Kasaragod, northern most district of Kerala. Dotted with small islands and surrounded by lush greenery, it is really one of the best backwater destinations in Kerala. 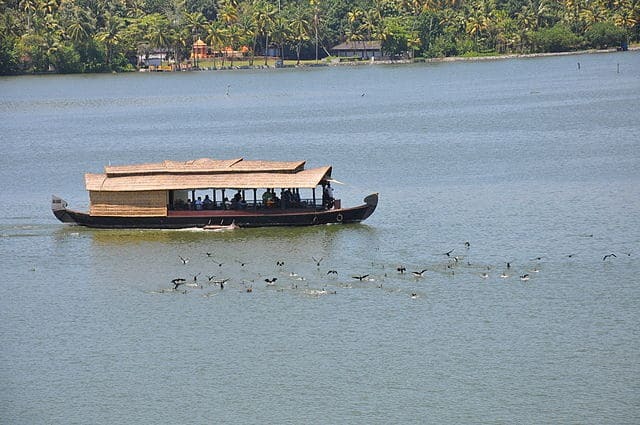 An houseboat cruise through these backwaters is an ideal way to relax and unwind. Valiyaparamba backwaters is mostly unexplored. You will be able to really get away from the maddening rush of city life. It is about 46 km from Kasargod, the nearest railway station. 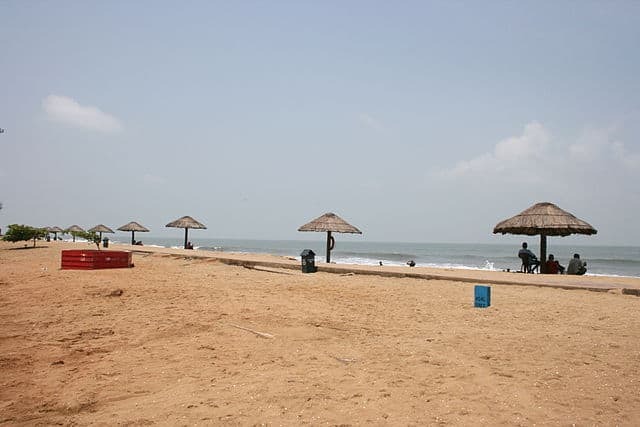 Cherai beach is at the north western end of Vypin Island, in Ernakulam District (Cochin). The way to Cherai beach is dotted with many beautiful lagoons. These lagoons are now used for large scale organic prawn and fish cultivation. 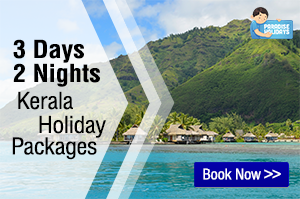 Coconut trees and close lying paddy fields adds to its charm! Thiruvallom backwaters is located at about 6km from Trivandrum, capital of Kerala. 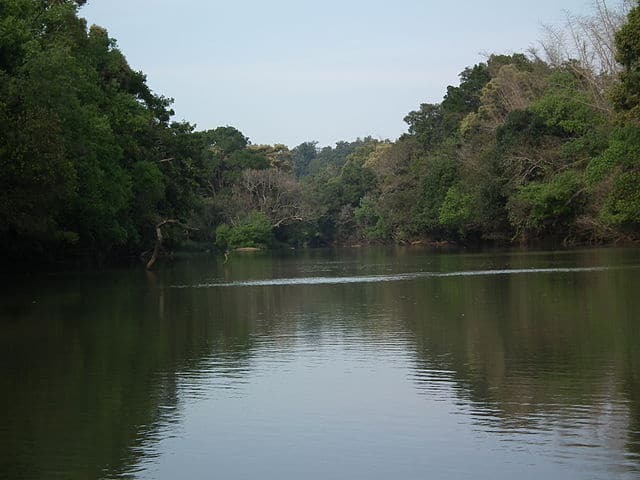 This backwater stretch is actually a confluence of two beautiful rivers- Killi and Karamana. Thiruvallom is famous canoe rides and related water sport events. Ponmudi or The Golden Peak, is one of the main hill stations in Trivandrum district. It is at an altitude of 1100m above sea level. It is part of the Western Ghats hill ranges. The very narrow roads with some 22 hairpin curves make the journey to the place quite adventuresome. But the scenery along the way..and the top view of the green valley below make it all worthwhile! It is in the Kollam district. 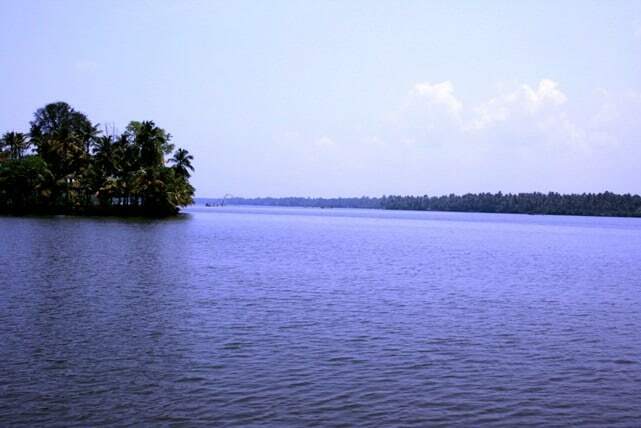 Asthamudi lake is the second deepest lake in the state, the first being Vembanad lake. In Malayalam, ‘Asthamudi’ means ‘eight coned’. It got its name for that particular shape it resembled. It is often said to be the gateway of Kerala backwaters. So naturally, it is considered to be part of Kollam backwaters. It is an ideal place to enjoy houseboat cruise and simply a boat ride! Thenmala is also in Kollam district, near Punalur township. 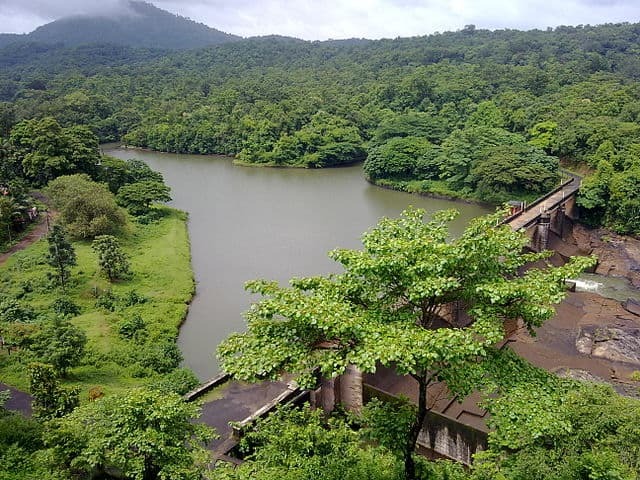 The main attraction is the Thenmala dam, built across the Kallada river. Thenmala was recently converted to a eco-tourism destination enhancing its already existing nature resources. It is around 72 kms from Trivandrum. There are many facilities available now to the tourists like rope bridge, boating, trekking, biking and mountaineering. 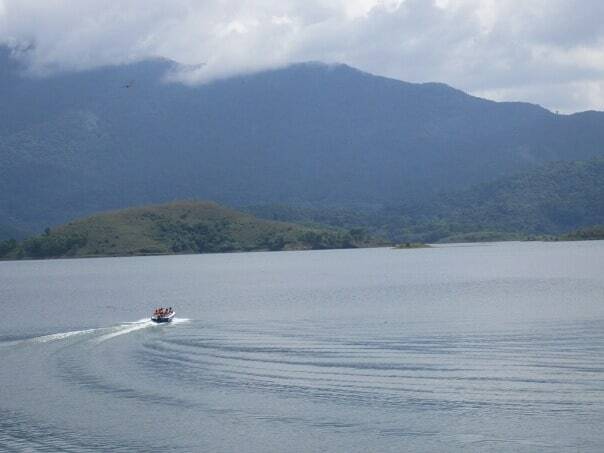 Boating along the dam reservoir is a great way to enjoy the Kallada river, surrounding greenery and mountains. The rope bridge across the dam sways in the wind and is real fun crossing it! It is located near Kalpetta, Wayanad district. It is a picturesque freshwater lake flanked by forests on all sides. The sight of the blue water lilies spread out on the lake make the visit worth while. Boating facility is available but no one is allowed to pluck the blue lilies. There is a pathway around the lake and you can go for a walk enjoying the flora and fauna near the lake. A small children’s park and some refreshment stalls are also there. 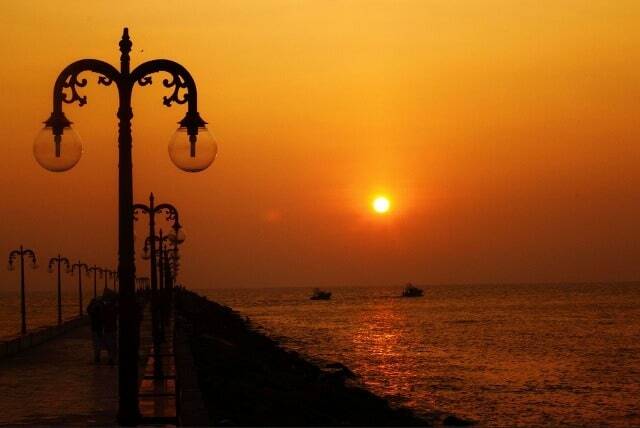 Beypore is a ancient port near Kozhikode (Calicut). It was one of those ports in Kerala where trading to Middle East used to be done. Beypore also has a beautiful beach and marina. There is a 2 km long stone bridge locally known as ‘Pulimuttu’ stretching into the sea near the beach. Walking through the bridge to its end is simply awesome. You will feel like standing almost in the middle of the sea. You can see fishermen heading over to the sea for fishing in all kinds of boats. You can also see the Beypore light house which is little bit away from the beach. Beypore has one more specialty; the ‘Urus’ or big wooden ships built here. Malampuzha dam is located at about 10 kms from Palakkad town, Kerala. It is the largest reservoir is Kerala. Malmpuzha dam impounds the waters of Malampuzha River, a tributary of Bharathappuzha. The Western Ghats in the backdrop gives the dam and the reservoir picturesque feel and look. There is a rope-way and you can take a aerial ride around the dam and its surrounding areas. There is a amusement park and a big garden with beautiful sculptures. You can also go for boating in the dam catchment area. The term ‘Thusharagiri’ means mountain covered with snow. The splashing waterfalls from the top creates a feel of snowcapped hills. This waterfalls is part of Chalippuzha River originating from Western Ghats. Thusharagiri waterfalls can be reached from Calicut which is about 50kms away. 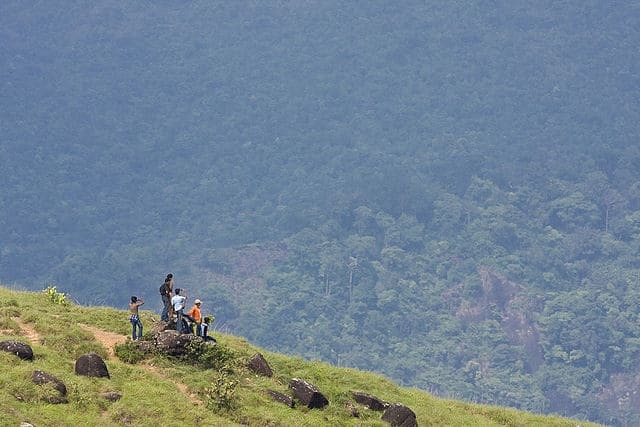 It is slowly becoming a popular trekking and rock climbing spot in Kerala. 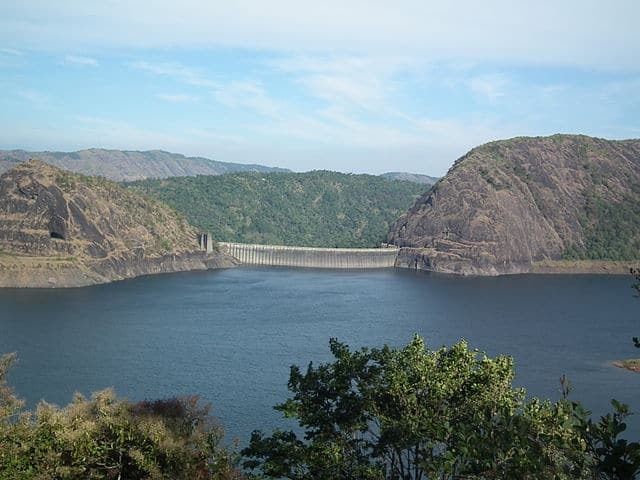 Idukki dam is constructed between the two hills Kuravanmala and Kurathimala impounding the river Periyar.It is owned by the Kerala electricity board and supports Kerala’s major hydroelectric power station (780 MW). This is the biggest arch dam in Asia. The dam and the reservoir is indeed a sight to behold. It is located in the Idukki district of Kerala. The underground powerhouse at Moolamattom is about 43 kms from the dam. It is not always open for public. Located in Kottayam district, Kerala, this is an idyllic location to spend a day. 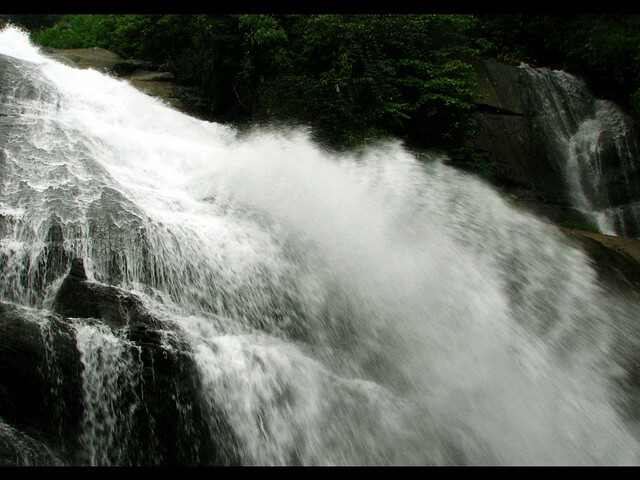 The water cascades down from a height of 100 ft in 5 small steps making Aruvikkuzhi, one of nature’s beautiful creations! It is ideal for trekking and rock climbing. Rubber plantations surround this charming waterfalls. This is the highest peak in the Western Ghats and is about 8,842 ft above sea level. It is part of Eravikulam National Park and is about 13 kms from Munnar. Its close resemblance to elephant head is said to be the reason why it came to be known as Anamudi which in Malayalam (the native language) means elephant forehead. The evergreen tropical forest covering this peak is home to many varieties of flora and fauna. Bamboos, teaks and black-wood can be seen growing abundantly here. Some rare species of animals like Nilgiri Tahr, Nilgiri marten, Bengal tigers live here. Do you know some other beautiful yet unexplored destination in Kerala? Let us know in the comments. Thank you for the information, if you can add few more place, like Bekal Fort, Ranipuram, Pithalmala, etc. Your information are really amazing and I am astonished listening about so many lesser known beautiful tourist spots at Kerala. I am planning to come to Kerala in February next year and would like to travel some of these places around Cochin, Waynad and Calicut. Thank you Mr.Partha Sarathi. Glad to know you found this article useful. Very interesting! I am visiting kerala and will sure consider some of the above places. Can you please tell me how the weather will be around mid-august. The information being provided is really amazing and appreciable .The photos are a treat to watch . It would be great if you can add some more places like Devikulam near Munnar , Vagoman and Poovar island. If possible can some more details be provided about Ponmudi and information about Kerala sea plane can be updated in your website for individuals who are interested in the same. Thanks once again for such a magnificent effort , please keep it up. some of the above places in my tour schedule. Do keep in touch and look forward to hear from you when you visit Kerala. Don’t hesitate to call us if you need any help! Thank you Mr.Amit for your encouraging words! I am planing to go kerala this august for 17 days. Can you plan and arrange for me trip for four adults for Offbeat Travel Destinations. We don’t want normal travel places in kerala. We want something differents. Please advice. it was a pleasure reading the greens of kerala through you, i wanted to know if there are any groups in and around kochi doing some small kind of trek adventures, if so kindly let me know. Thanks anyways . The Kerala offbeat destination is approaching many thinking present on your websites. This is so helpful Sunu. I think Gavi should also be there in this list. It is a traveller’s paradise. Though I heard that only a limited tourists are allowed in Gavi per day. When one talks about backwaters ,one can never miss Alappuzha backwaters. The nick name Venice of the east itself denotes the extensive and connected inland waterways. Alappuzha also owns beautiful beaches. Kuttanad is also a sight to see. No wonder tourists from all over the world throng Alappuzha through out the year. Besides , there are good accommodation available for all budget types. We have corrected the place.Thank you very much Vysakh for the information. Hi, it’s absolutely helpful information. 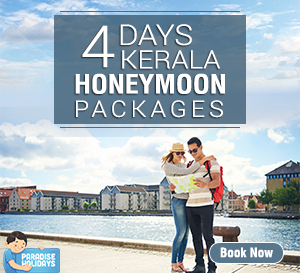 I m planning of honeymoon in Jan-16 for Kerala, but want to visit less crowded off bit places. Could you tell me which are the best and must tourist spot and which make our tour mesmerizing. Thank you, our travel team will get back to you. Great list of offbeat travel places. Thanks for sharing useful information. Thank you, Mr Dhiraj. So glad to hear that you found the article useful. Good blog. You may please add Gavi near thekkady in this list. Thanks Sunu. Thank you Venkatesh, We’ll update it later.